With this post, our undefined period of darkness officially comes to a close. 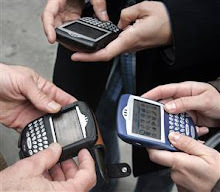 The Blackberry Addicts has both rested and reflected, and we have decided to re-engage the public, pundits, and what passes for media following the economic calamity of 2008. We'd like to make a couple quick points to save some of you time and energy. First, remember that we've always been called the Blackberry Addicts, not the Blackberry Addict. Second, expect to see our blog refreshed over the coming days for the sake of being, well, fresh. Third, our mission and mandate will remain unchanged. And, lastly, please grant us the privilege of some retroactive commentary... we promise there won't be much. Goodness me, it's great to be back...!